Steamed Broccoli is great for snacking or recipes. 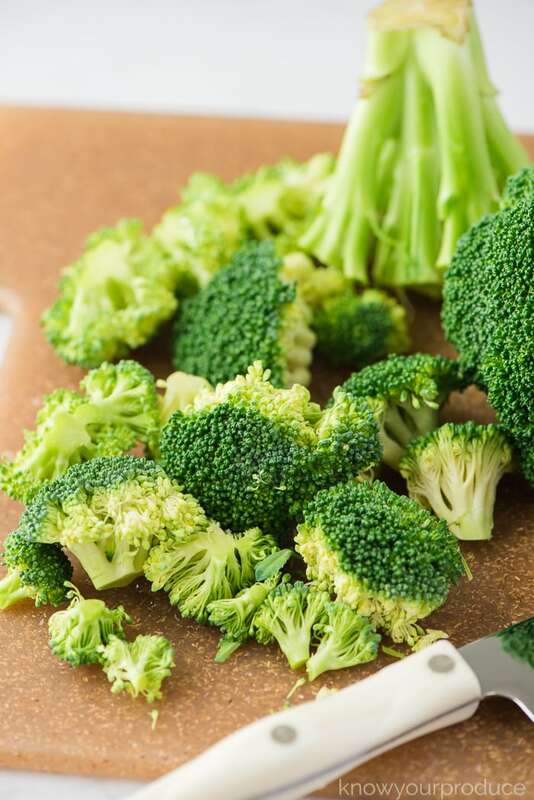 We’re going to show you how to steam broccoli, keep it bright green and how to not overcook broccoli. 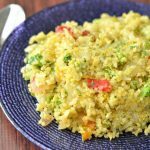 Broccoli is a go-to vegetable side dish. 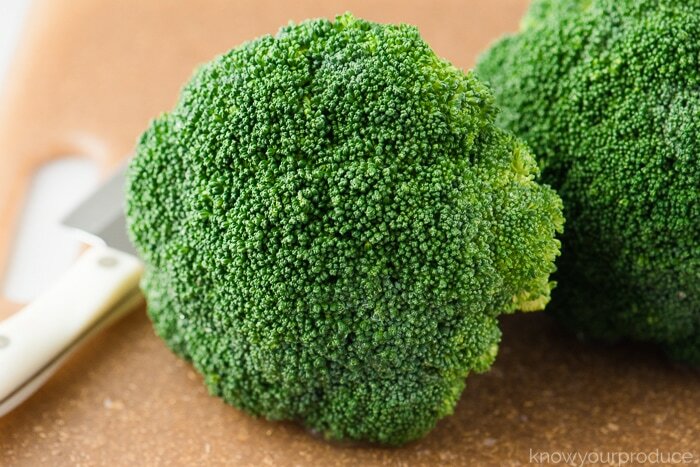 We like to enjoy roasted broccoli, steamed broccoli, but we don’t recommend boiling broccoli. Also, cooking in the microwave is going to kill some of the nutrients as well. 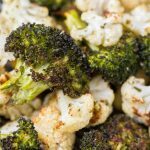 Why don’t we recommend boiling broccoli? 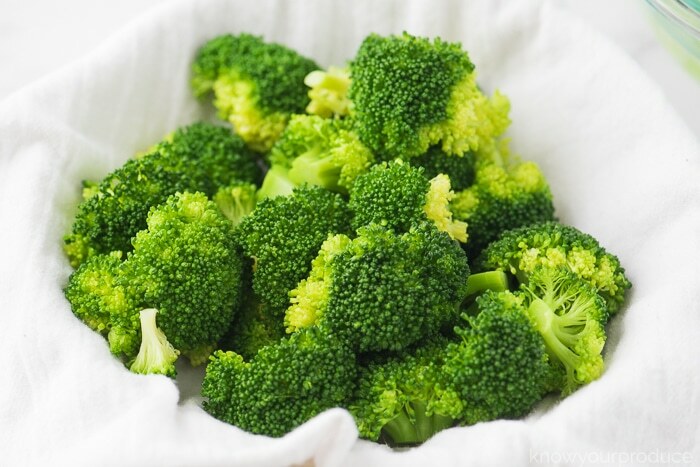 You lose a lot of nutrients in the water, by steaming broccoli or roasting you’re not soaking the broccoli in water. It can become waterlogged and overcooked. This goes for most vegetables, aside from starchy vegetables like potatoes. 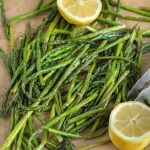 Blanching stops the cooking process. Once the broccoli is done you add it to an ice water bath. This keeps the broccoli green and crisp. It can easily overcook by just letting it sit. 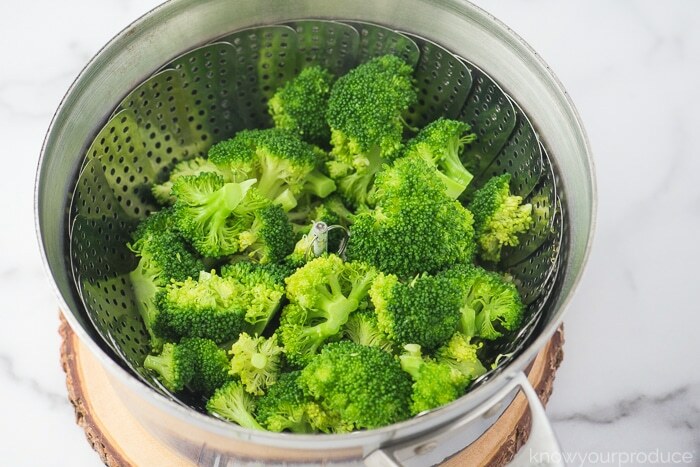 To make steamed broccoli first start by cleaning the broccoli. 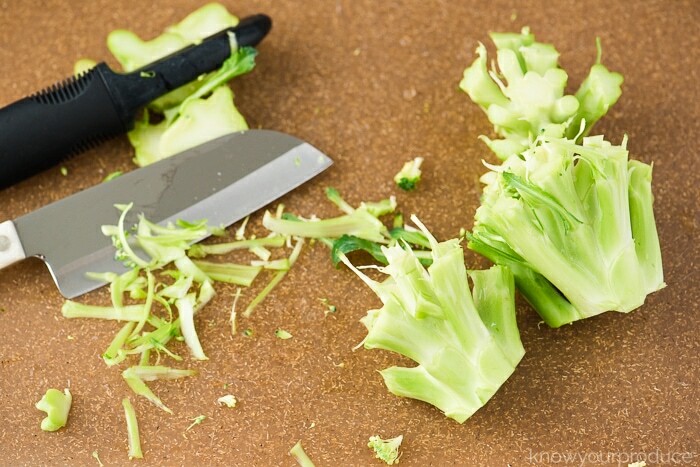 Once you have fully cleaned the broccoli cut the broccoli florets off the stem. Steam the broccoli covered on medium-high heat so that the water is boiling. 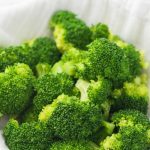 how long do you steam broccoli? 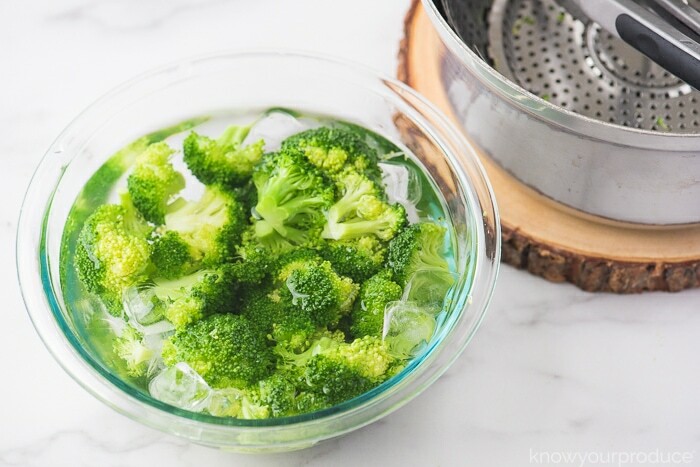 Remove the broccoli after around 5-6 minutes and place right into an ice water bath to blanch the broccoli. We used crowns so the stems aren’t long. Just peel the tough exterior and then remove the rough end. 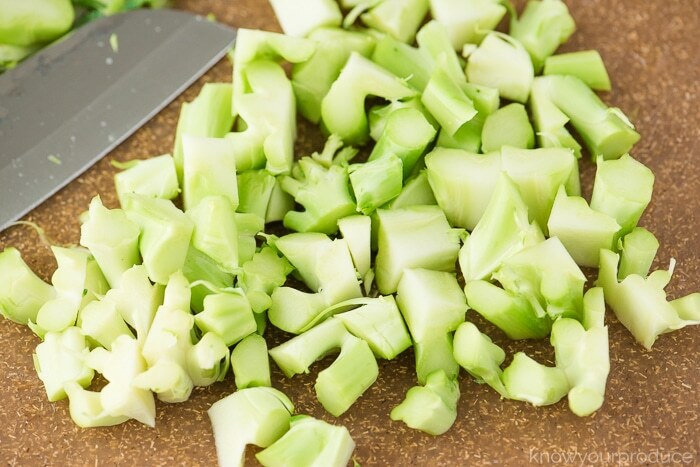 Chop the stems up into bite-size pieces and place into the steamer just like you did with the broccoli. Cook for about 5-7 minutes, until tender. Now that your broccoli is steamed you can either enjoy it right away or save it for recipes. Steamed broccoli freezes well too. We like freezing broccoli for later for things like smoothies or casseroles. 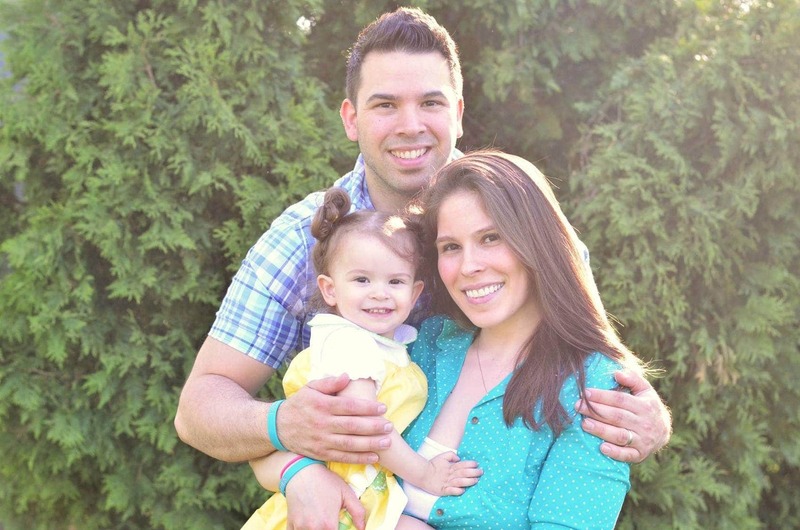 It’s excellent to have on hand and easy to do! 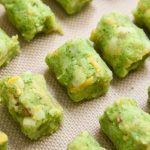 Simply line your baking sheet with a nonstick Silpat or parchment paper and then spread the broccoli onto the sheet pan. Freeze the broccoli until firm and then place into a freezer bags or a freezer safe container. Another method is drying the broccoli with a clean tea towel and then placing in a large enough container so it’s not touching too much. Broccoli is pretty easy to break apart once frozen so as long as it has some room you shouldn’t end up with a big block of frozen broccoli. Stasher Bags are our preferred container as they’re freezer safe, silicone, and of course reusable. 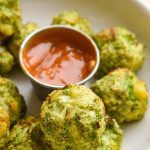 Now you can add the broccoli to any recipe that calls for it without running to the grocery store. It’s so nice to have fresh or frozen broccoli on hand. 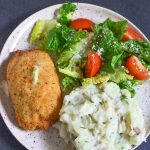 It’s delicious as is seasoned with salt, smothered with some dairy free alfredo sauce, or even added to your favorite stir fry! 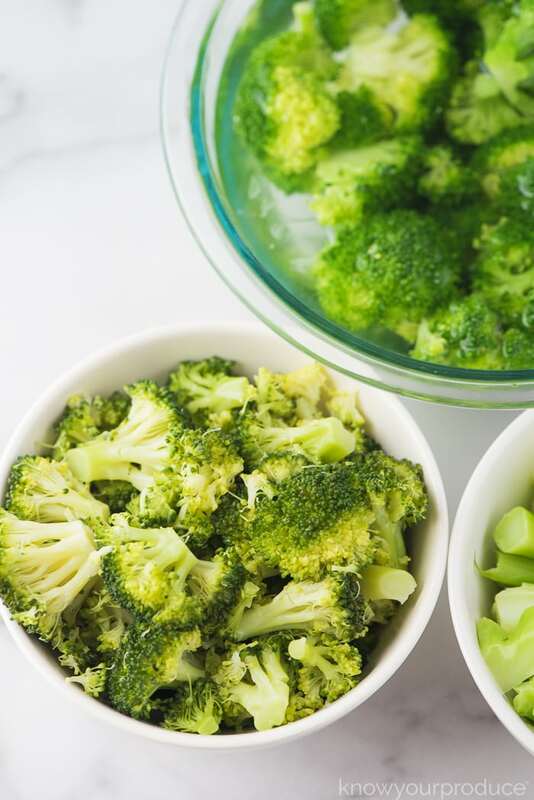 Always blanch the broccoli or any veggies after steaming, stopping the cooking process keeps the broccoli bright green. It also prevents overcooking. Use cold water with a little ice to make ice water in a large bowl. 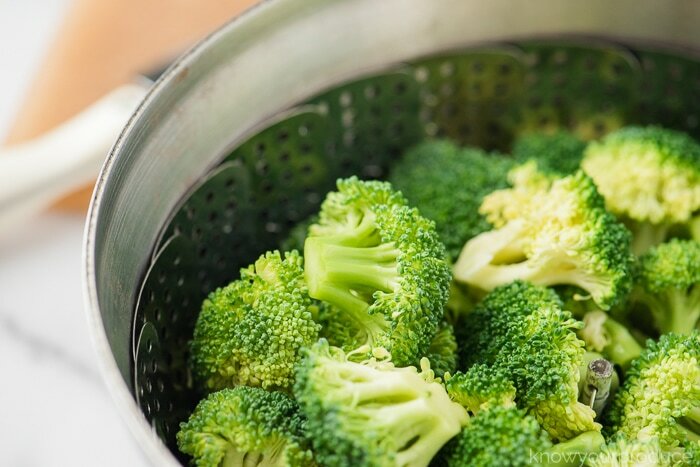 Start off with boiling water and have the steam basket in the pot, place the broccoli in and cover until the broccoli is tender about 5 minutes. 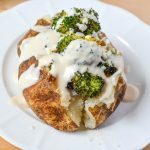 Steamed Broccoli is great for snacking or recipes. 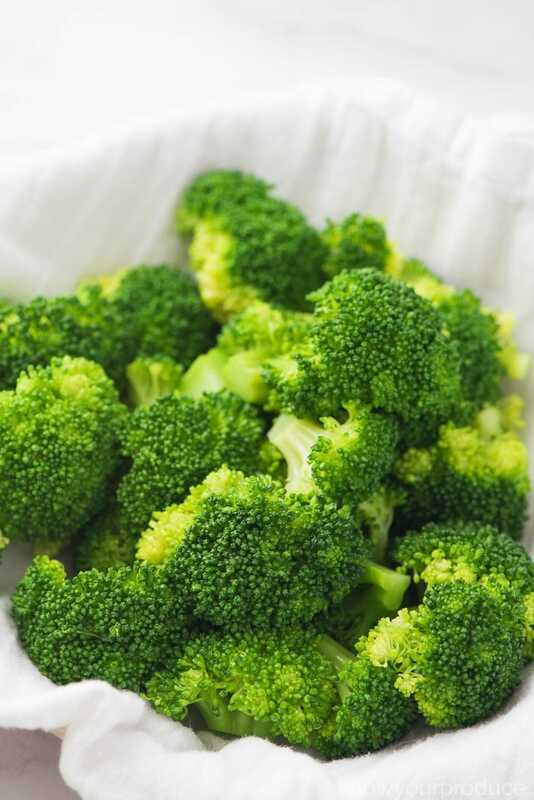 We're going to show you how to steam broccoli, keep it bright green and how to not overcook broccoli. Trim the broccoli florets from the broccoli crown. 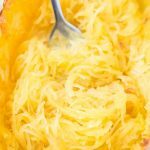 Once you are finished with the florets you can add them to a steamer inserted into a pot with a little bit of boiling water. Water should be about an inch of water or two. Just enough so it's not coming above the steamer insert. Cook the broccoli for covered on medium-high heat so that the water is boiling. 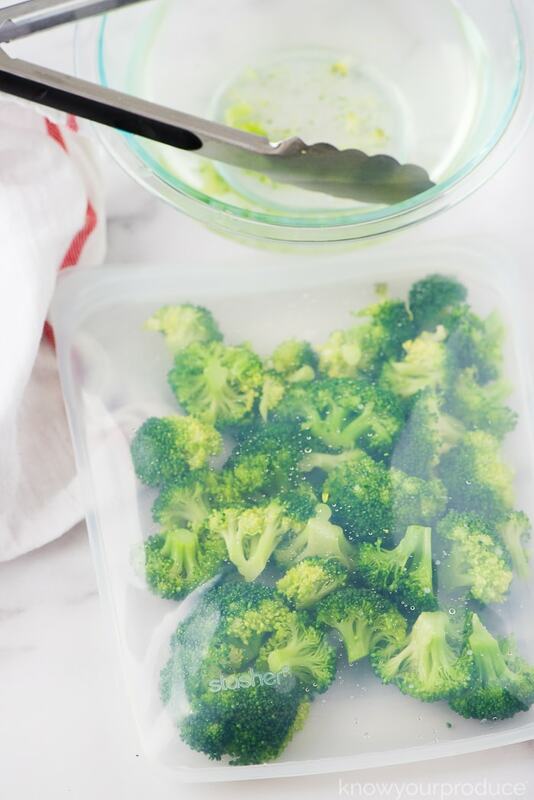 Remove the broccoli after 5 minutes and place right into an ice bath to blanch the broccoli. 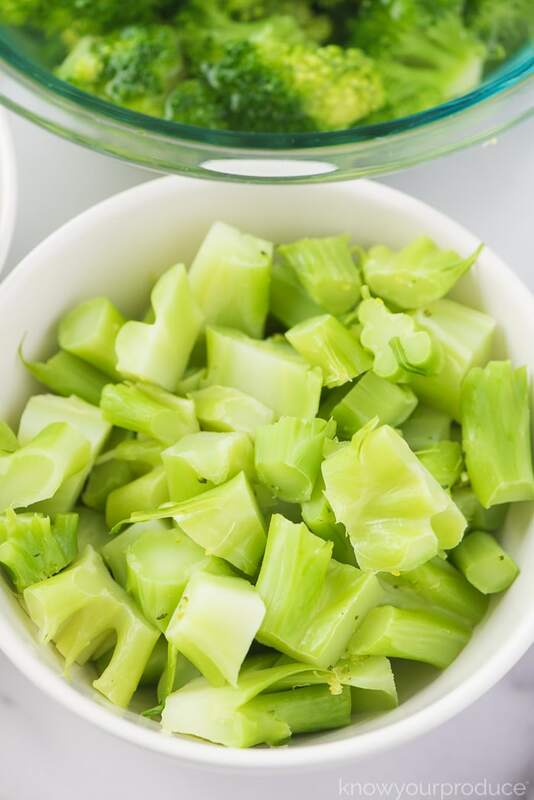 Chop the stems up into bite-size pieces and place into the steamer just like we did with the broccoli florets.